Welcome to Newbuild-Costablanca, the international Real Estate Agency specialised in new build properties on the Costa Blanca and Costa Calida. Newbuild-CostaBlanca is a division of C&C Inmoasesores, a Dutch-Spanish international real estate agency that has been in business for more than ten years in the real estate market on the Costa Blanca South. We are a small family business that's mainly focused on perfect customer service and the professional guidance of your property tour on the Costa Blanca. Service, way before and after way the purchase of your property in Spain is always our number one priority! There are many agencies who promise this, but only a few who live up to it. Luckily we are one that does. Our main Office is located in the cozy seaside village named Guardamar del Segura, which is in the province of Alicante. In addition to selling a wide variety of new build homes on the Costa Blanca and exclusive second hand properties, we also provide all the services needed to buy or build your own property in Spain and all kind of other services that are needed before and after the purchase! For example: a NIE number, property insurance, alterations and renovations, moving to and from Spain, temporary storage for your furniture and vehicles, connecting fiber internet and satellite TV, become a Resident in Spain (optional of course! ), swimming pool service and garden maintenance, alarm systems etc. To make this as simple and easy as possible for you, all this can be arranged through us! Also regarding the Spanish language, you don't have to worry at all. We are with you throughout the entire purchase process of a property on the Costa Blanca or on the Costa Calida. And as mentioned before, a long time after the purchase. The company Newbuild-CostaBlanca offers you a wide range of different types of properties on the Costa Blanca South and Costa Blanca North. We also expanded our network of properties throughout the Costa Calida. Which is the coast of Murcia stretching out to roughly Cartagena and the end of Mar Menor (La Manga). Just like on the Costa Blanca, you will be able to find here really amazing new build properties for great prices. We have the following types of new build properties available in our portfolio: modern villa's, modern apartments, modern bungalows, new constructions, modern penthouses, modern duplexes, modern terraced houses and basically many more properties outside these specific categories. We do sell new properties on the Costa Blanca and Costa Calida in the following places and areas : Rojales, Guardamar del Segura, Benijofar, La Mata, Torrevieja, Orihuela Costa, Villamartin, Gran Alacant, San Pedro del Pinatar, Campoamor, Mar Menor, La Manga, Lo Pagan, Benidorm, Moraira, Albir, Altea, Polop, Benissa, Calpe and Denia. You may very often find the same projects on internet for many different prices. Unfortunately, these price differences are not real. All new construction projects and new build properties for sale in Spain have equal prices, regardless of which Real Estate Agency is selling it. Therefore, we always offer you the lowest and correct price. Options, extra's and different kind of finishes are always of your own choice. Of course this will change the price slightly. Newbuild-CostaBlanca also offers a number of exclusive used properties on the Costa Blanca and Costa Calida. These are specifically selected properties, on quality and price range. 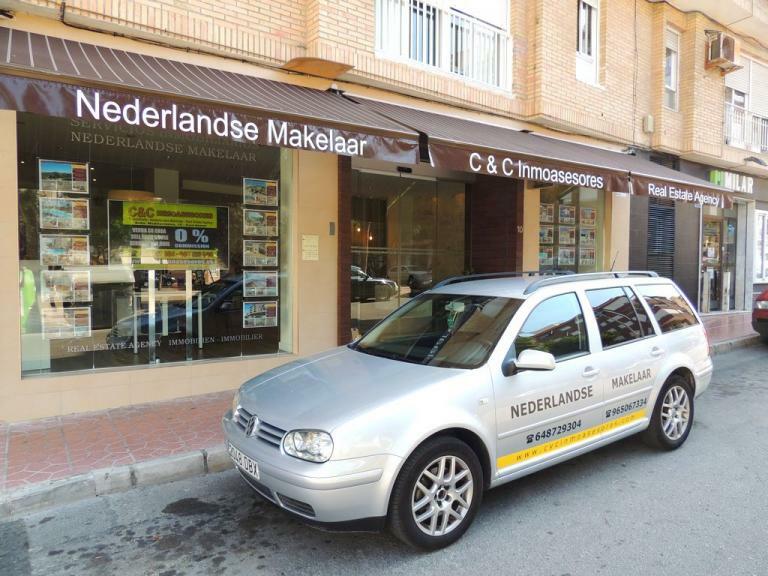 Would you like to sell your property on the Costa Blanca or on the Costa Calida? Please contact us! We do hope you enjoy scrolling through our properties on the Costa Blanca and Costa Calida. If you have any questions, please feel always free to contact us. 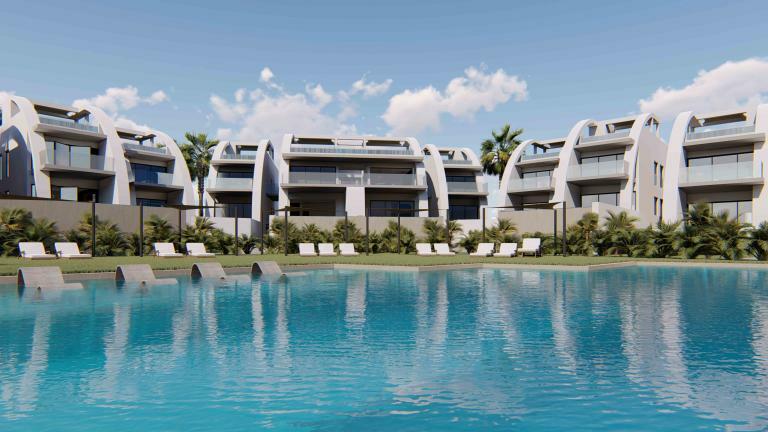 Interested in investment projects on the Costa Blanca? We are experts in long term rentals with a guaranteed 6 to 7% return rate. Due the years of experience, we have a perfect selection of the right clients to rent your property on the Costa Blanca.